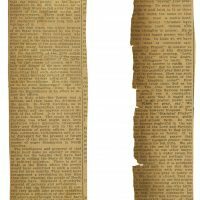 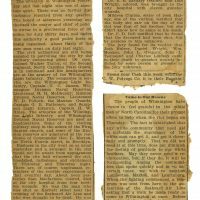 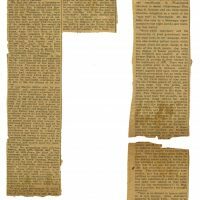 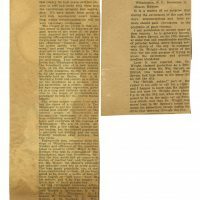 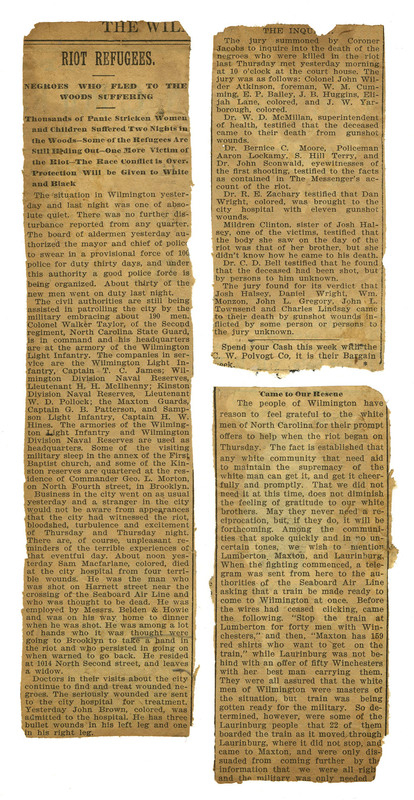 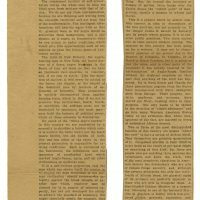 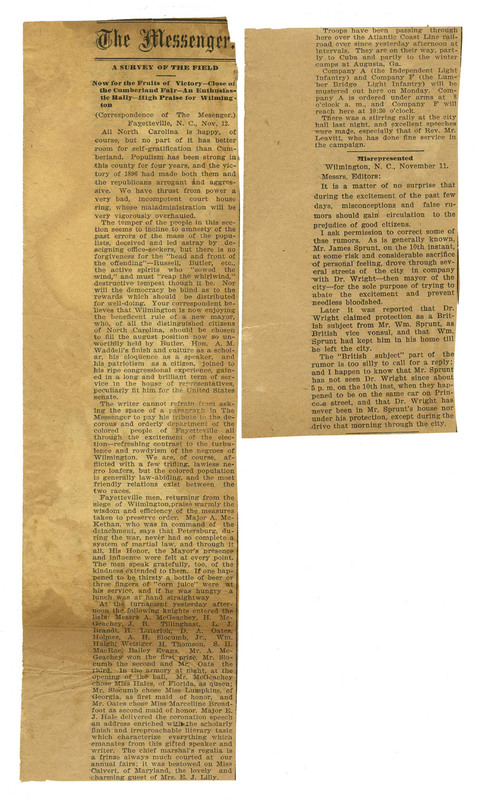 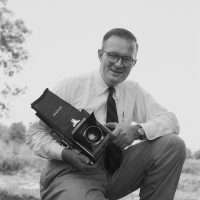 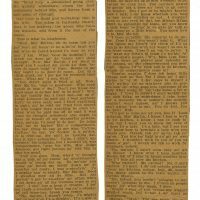 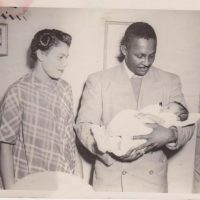 On November 28, 1984, Milo Manly donated seven items to the Cape Fear Museum: six photographs and what was described as a “Book with clippings from Record newspaper and other newspapers.” The Daily Record was Wilmington’s African American newspaper. 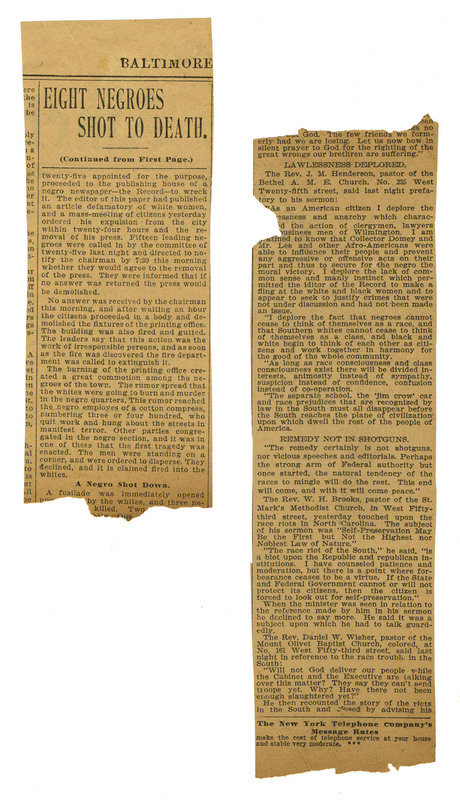 Milo’s father, Alexander Manly, was the editor. 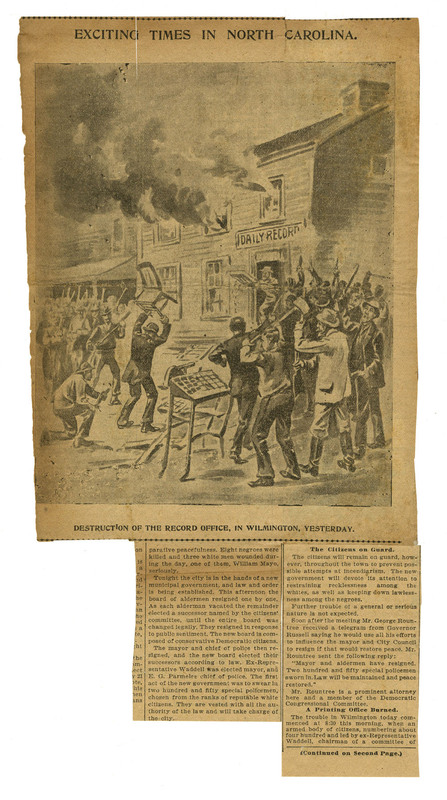 Mr. Manly was run out of town after his printing press was burned during the white supremacy campaign of 1898. 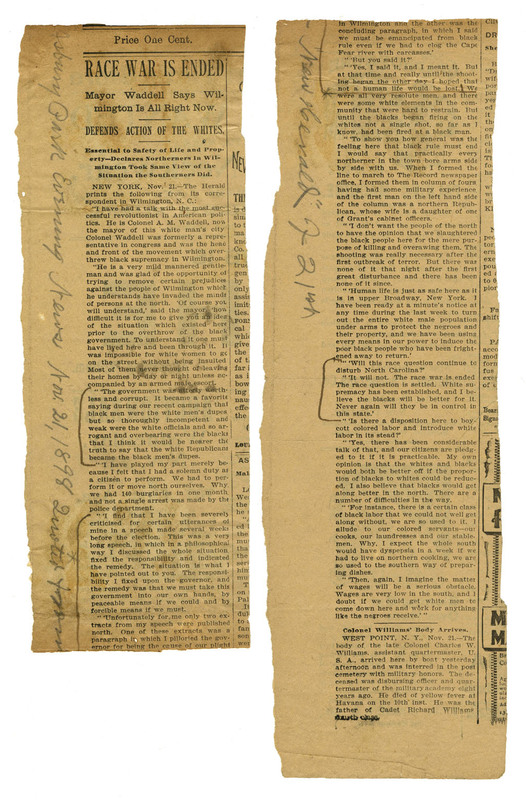 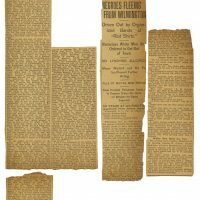 The “book with clippings” is actually three items: a book, newspaper clippings, and historic newspapers. 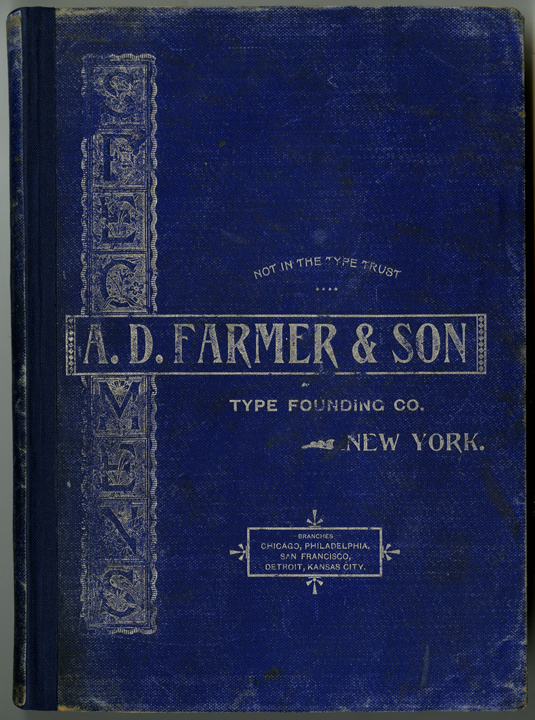 It is a late 19th century book of typefaces, created by A.D. Farmer and Son Type Founding Company of New York, and perhaps used by Manly in his work. 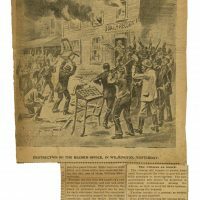 Someone made the book into a scrapbook by pasting clippings about the racially-motivated violence of 1898 over the original book’s pages. 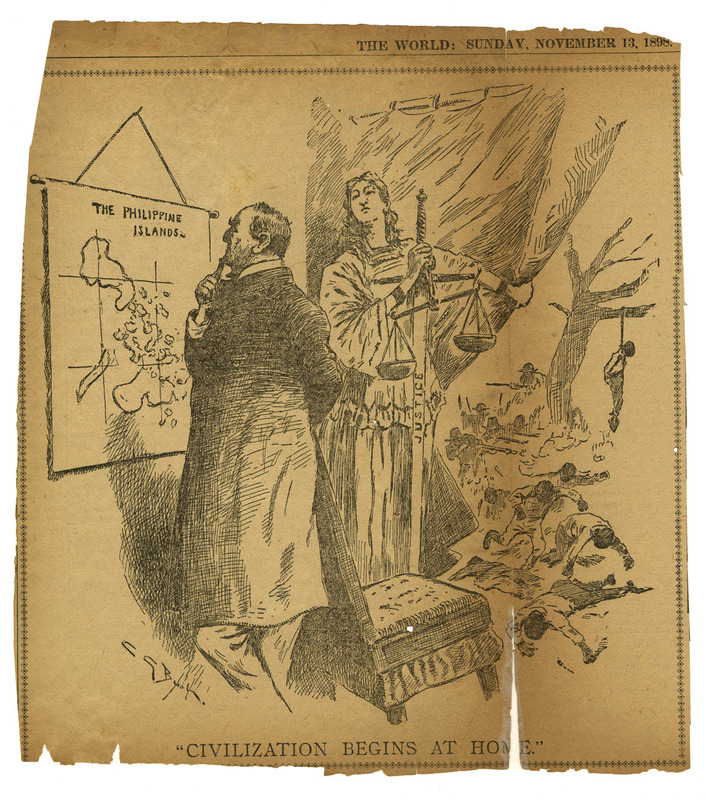 It’s not certain if this was done by Alexander Manly, but it seems likely to be done by him or a family member. 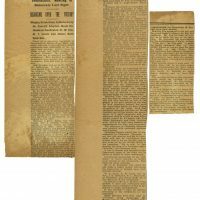 The book was also used to store folded copies of some late 19th century newspapers, including three full copies of the Daily Record. 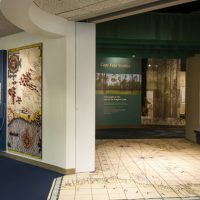 In 1991, the Museum had the book and its contents conserved. 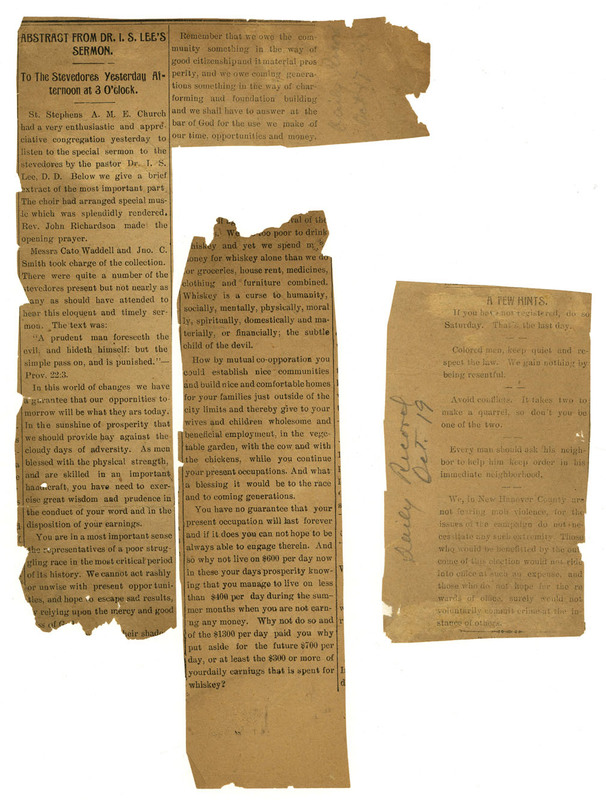 The book was carefully taken apart and the clippings were removed and treated. 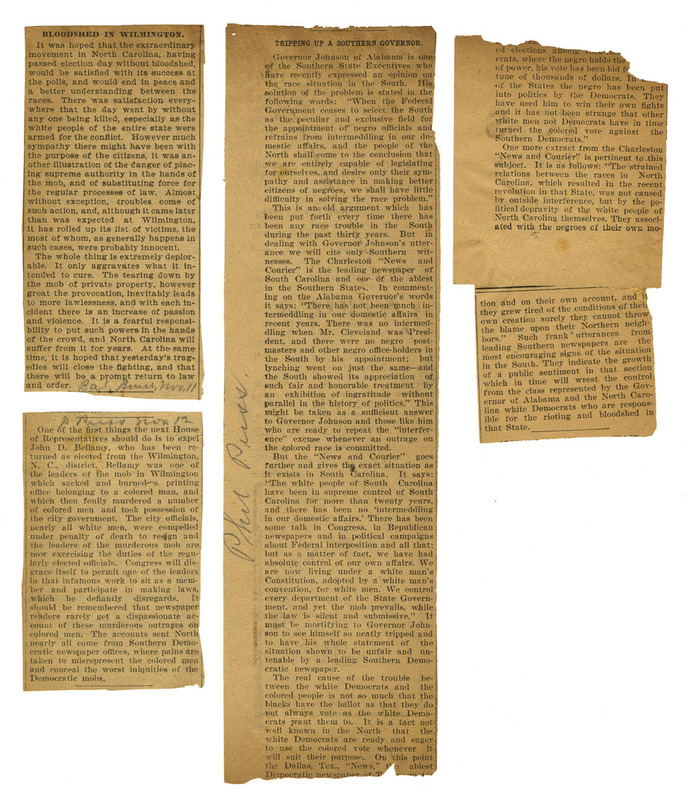 Then, the book was reassembled. 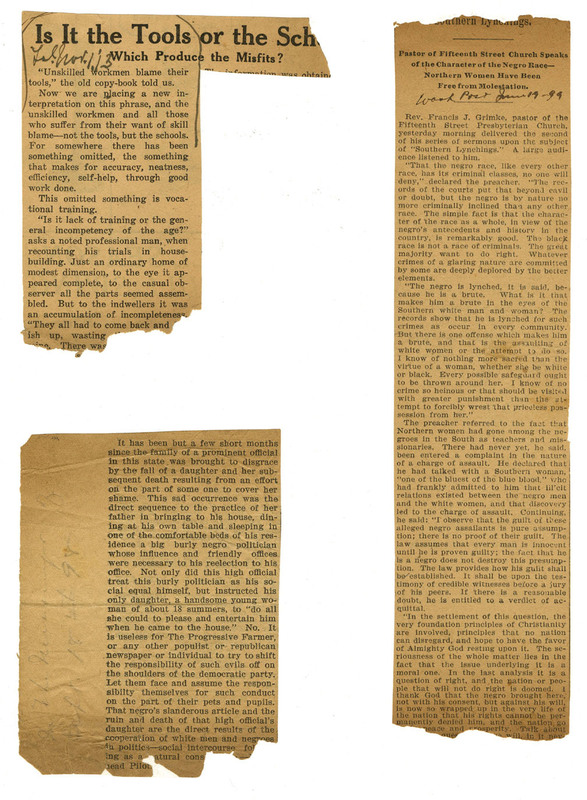 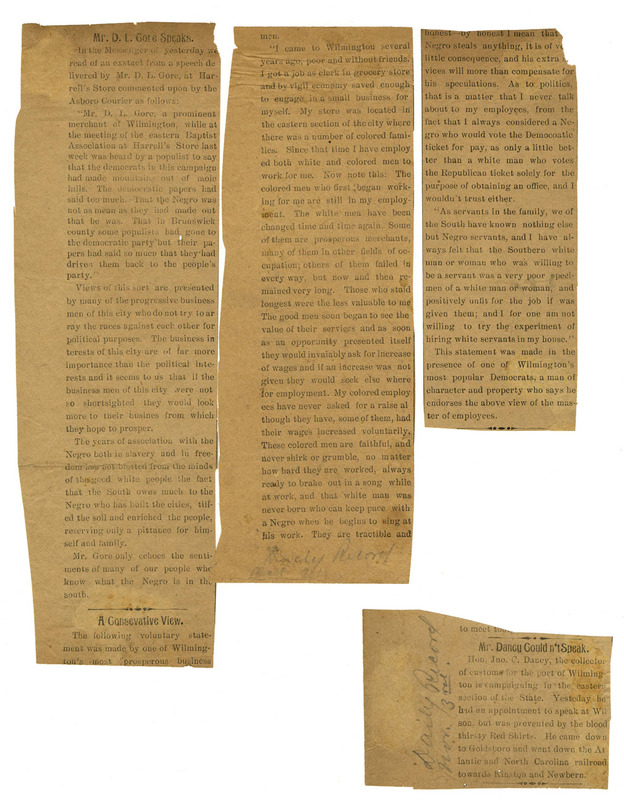 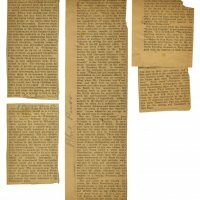 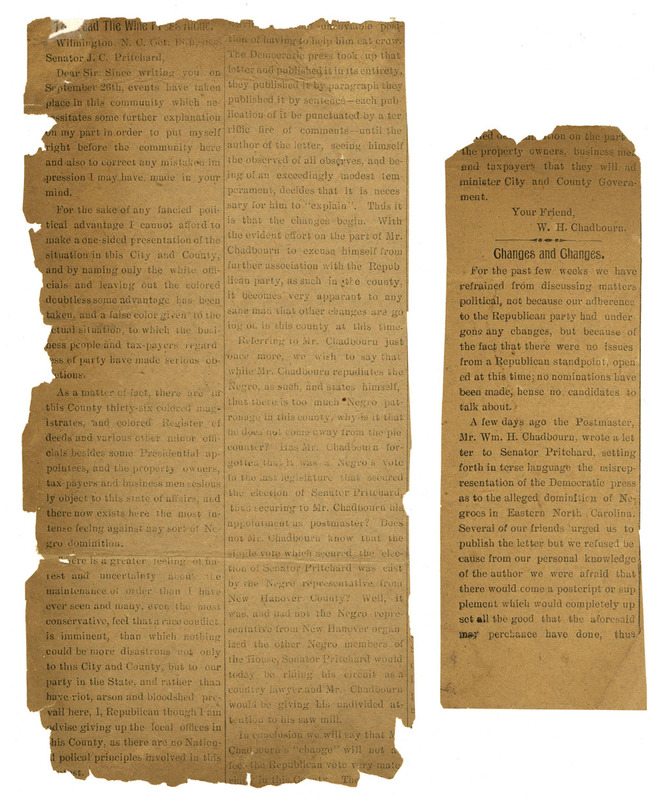 In order to conserve and preserve the clippings, they were flattened and rehoused on acid-free paper. 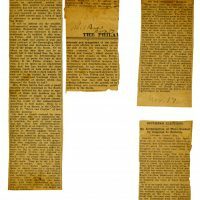 The newspapers were also treated – they were de-acidified and flattened. 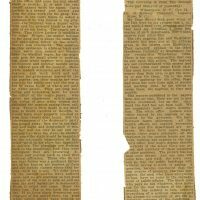 Any tears in the pages were repaired. 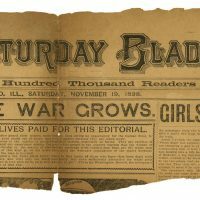 Like the clippings, the newspapers were placed in a book, in order to store flat. 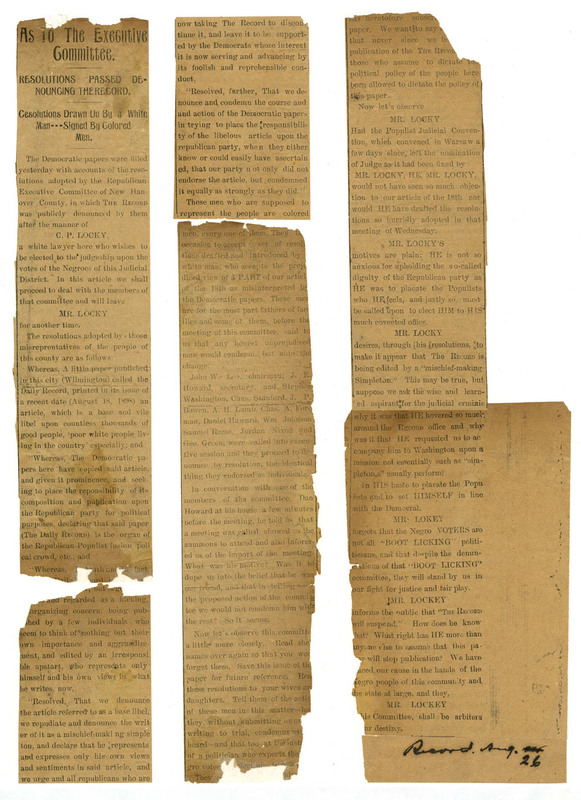 After conservation, the Manly newspapers and clippings were placed in the Museum’s climate-controlled collections storage, and the closed book went on display in the Museum’s 19th century gallery. 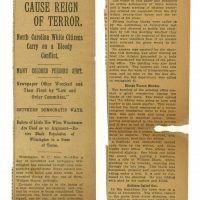 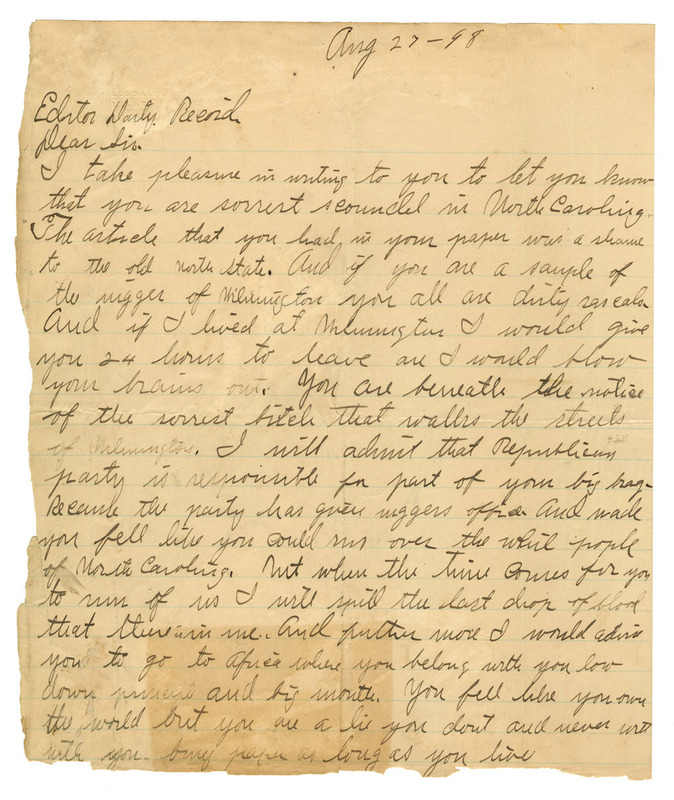 In 2015, Cape Fear Museum began a project to reinterpret the Reconstruction exhibit to better tell the story of the white supremacy campaign of 1898. 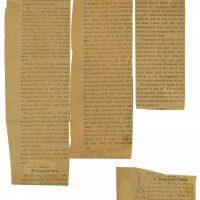 The Museum began thinking about ways to provide the public with greater access to these rare primary sources. 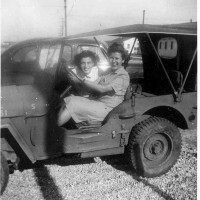 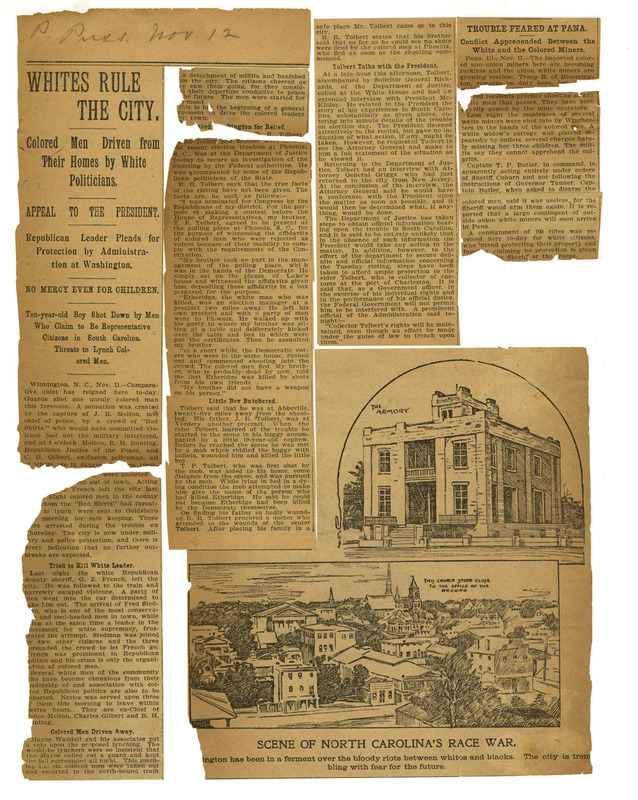 The Museum scanned the scrapbook pages, as a first step towards getting them online. 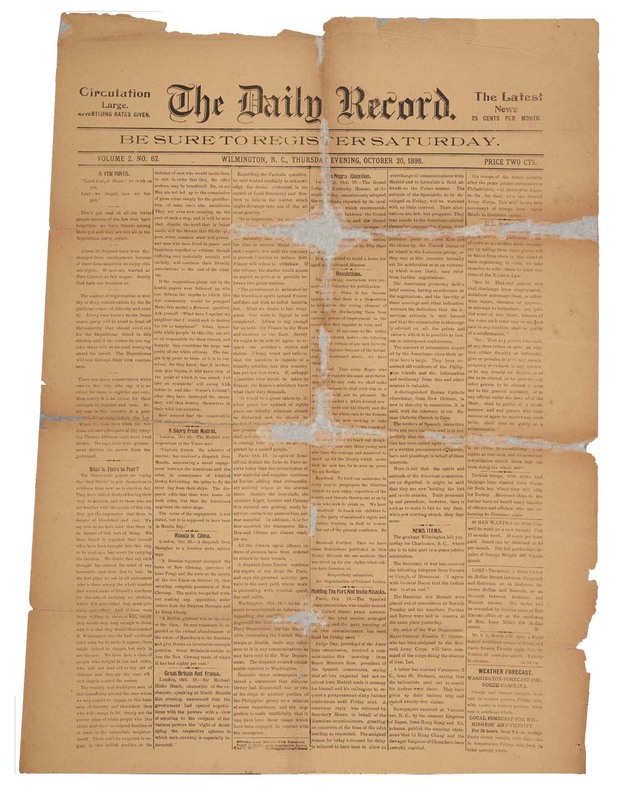 Scanning the Daily Record newspapers presented more of a challenge – they were too large for the Museum’s scanner! 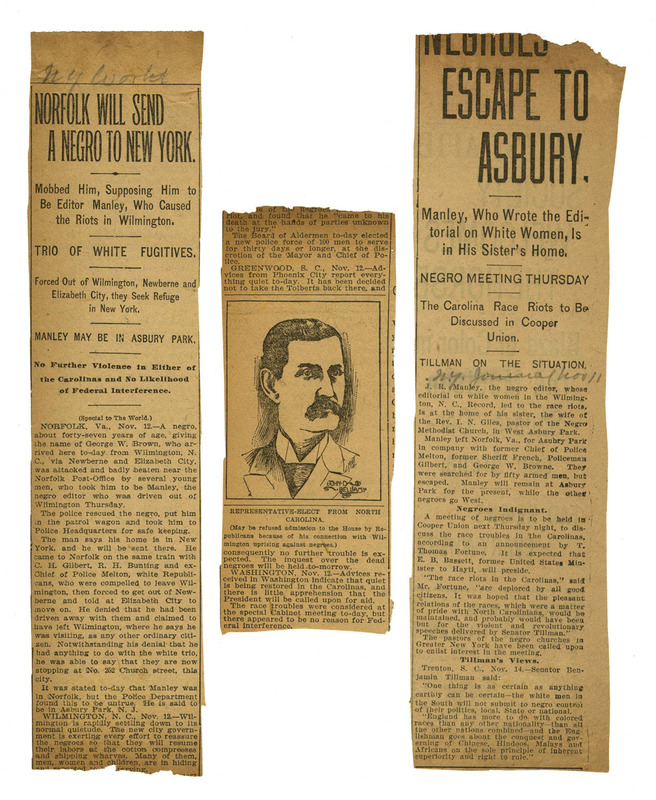 A timely and fortuitous partnership helped solve this problem. 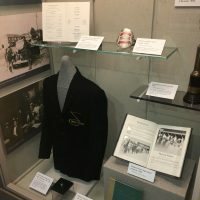 In the fall of 2016, the Museum became involved with the Williston Legacy Team. 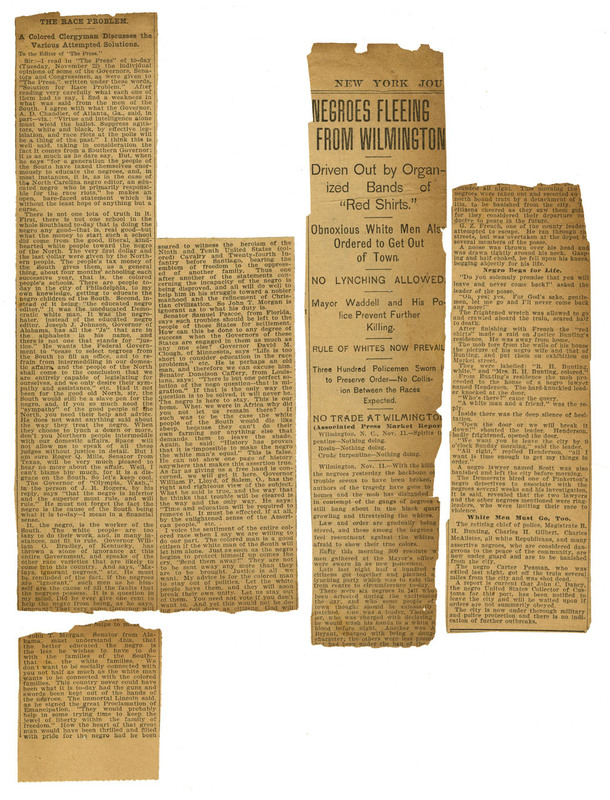 The Legacy Team’s goals included developing Williston Middle School students’ appreciation of local history. 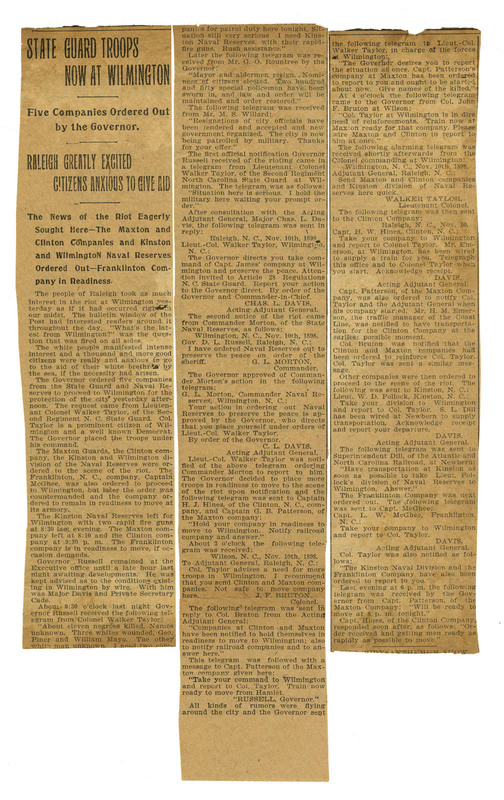 The team helped nurture a project on the Daily Record. 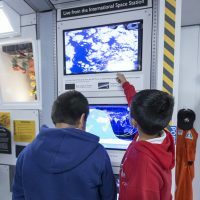 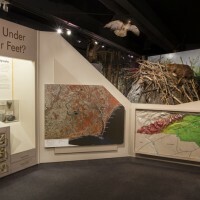 In early 2017, the Museum became a host site for the project, which brought together a group of eighth grade students from Williston Middle School and Friends School of Wilmington. 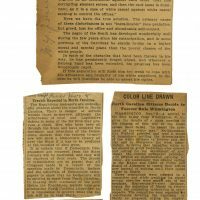 The students worked with members of UNC Wilmington’s creative writing department to learn more about the Daily Record. 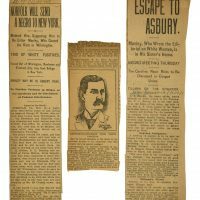 They began searched for copies of the rare newspaper. 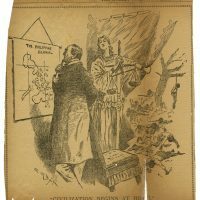 The teachers and students were not aware the Museum housed three copies from 1898, and they were delighted to discover resources they could utilize so close to home. 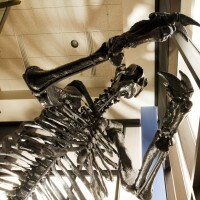 The students met at the Museum through the spring of 2017. 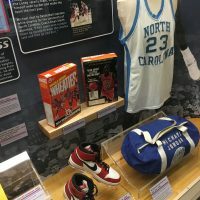 In the summer of 2017, two Cape Fear Museum staff members traveled to UNC Chapel Hill to work with the North Carolina Digital Heritage Center at the University of North Carolina. 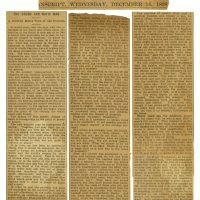 This was a culmination of the students’ project. 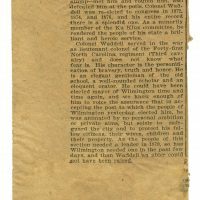 Staff met with the students and teachers, toured the center’s facilities, and observed Chapel Hill staff photographing the Daily Records. 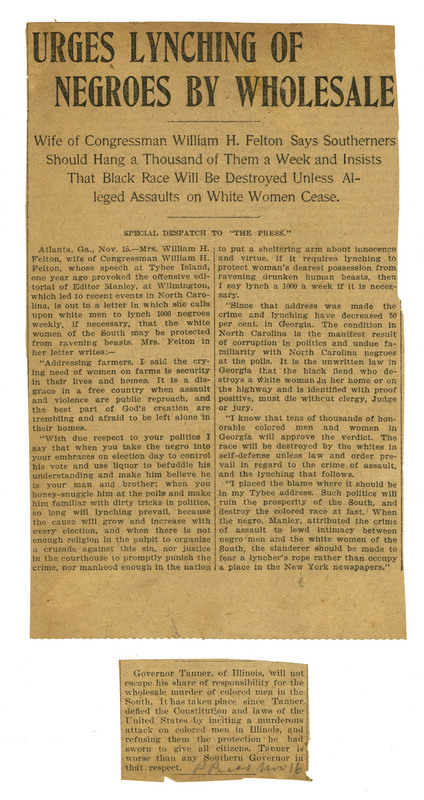 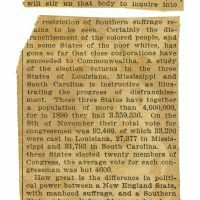 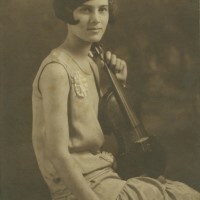 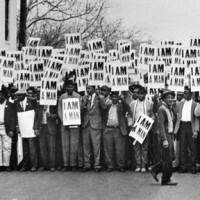 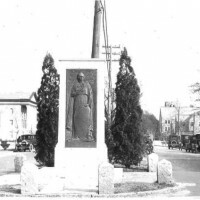 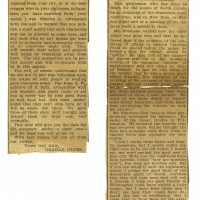 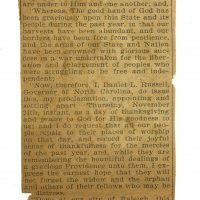 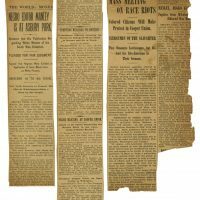 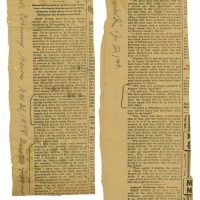 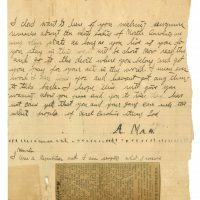 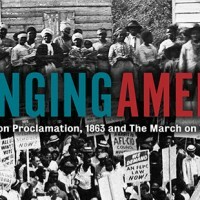 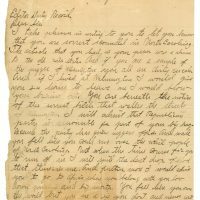 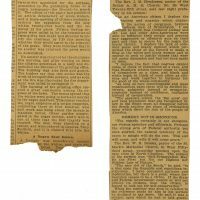 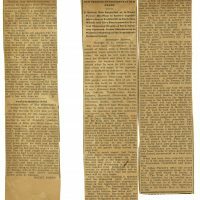 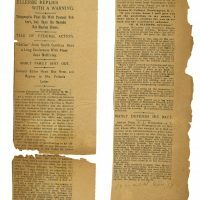 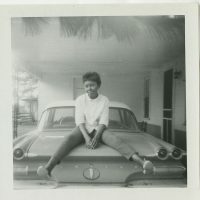 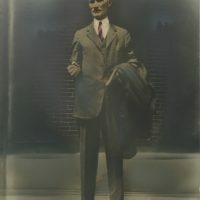 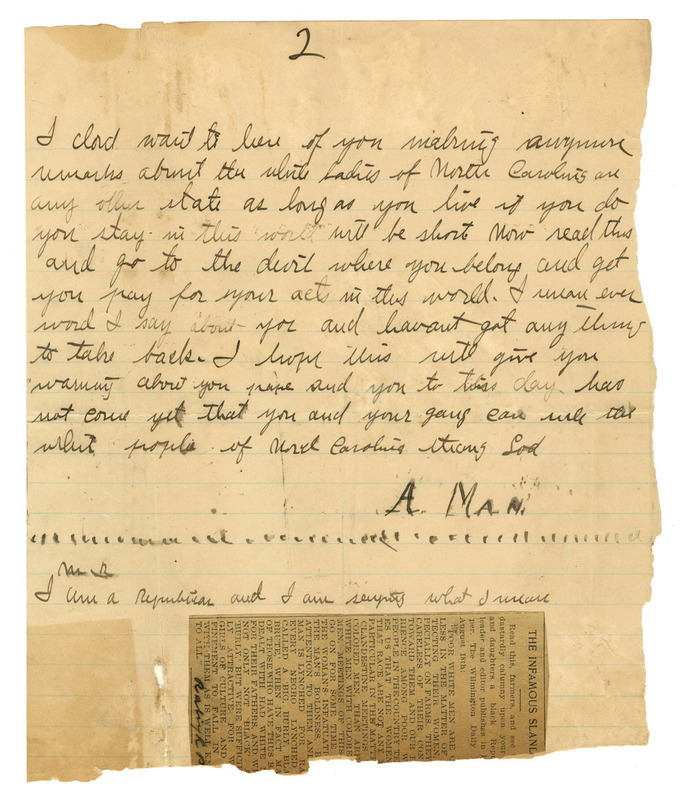 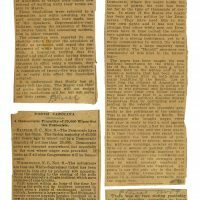 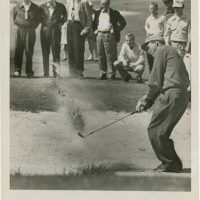 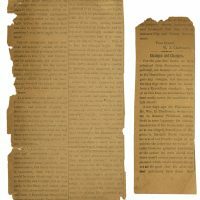 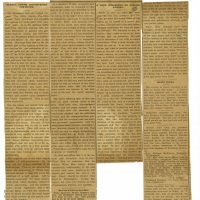 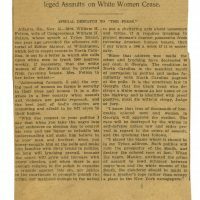 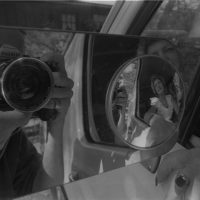 The NC Digital Heritage Center placed the digital images of the Museum’s Daily Record online, making these rare and important resources available to scholars and the general public. 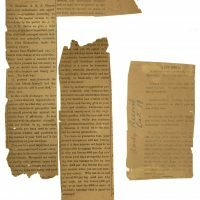 All paper is damaged by being exposed to light. 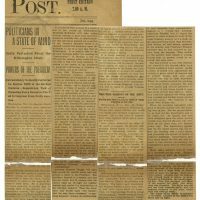 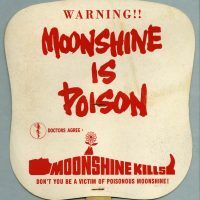 Learn more about why museums do not display paper items in long-term exhibits. 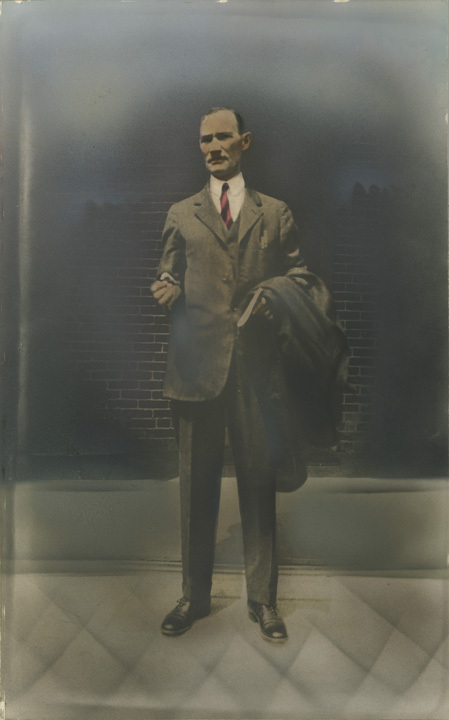 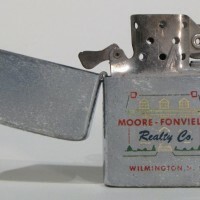 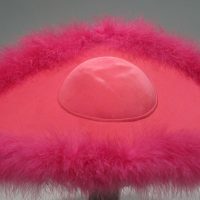 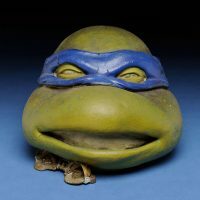 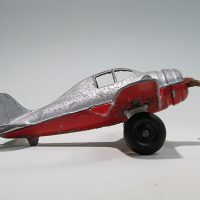 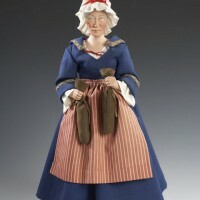 View images from the Museum’s collection and learn more about 1898. 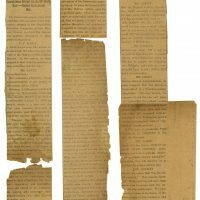 Watch a short video C-Span video from February 2017 about the Manly materials. 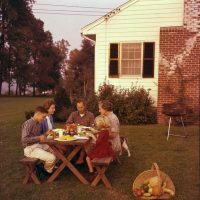 Learn more about the Williston Legacy Team. 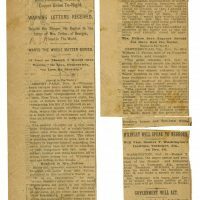 View pages from the Manly scrapbook. 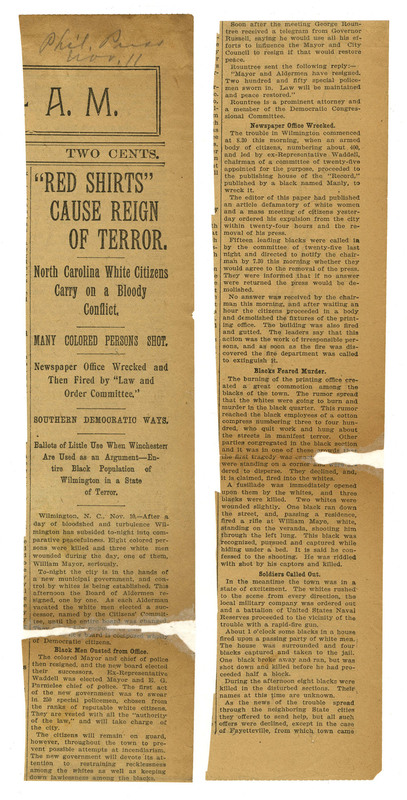 The scrapbook pages are a window into life before and after the violent white supremacy campaign of 1898. 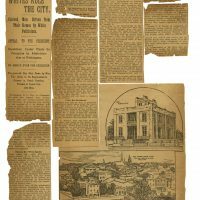 The pages include clippings from the issues of the Daily Record from before its printing press was burned and it ceased publication. 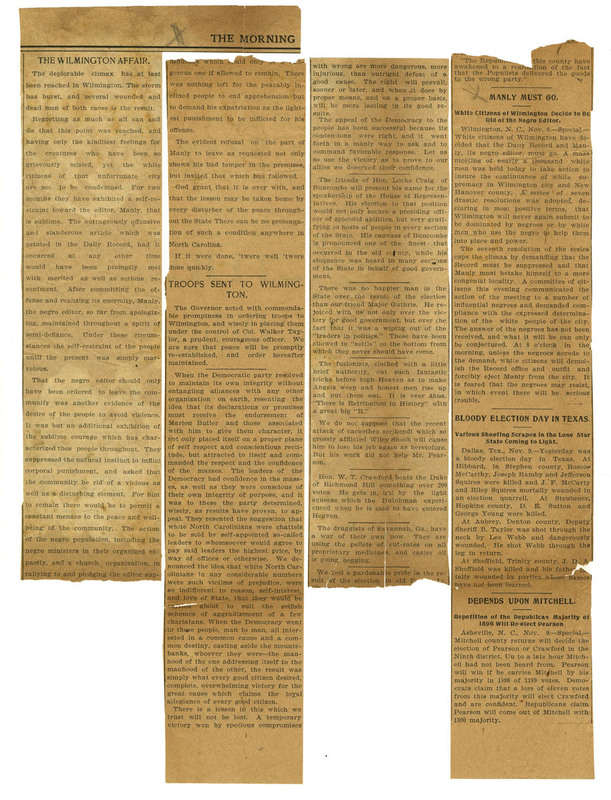 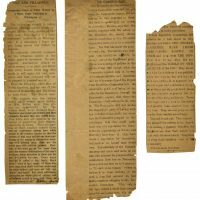 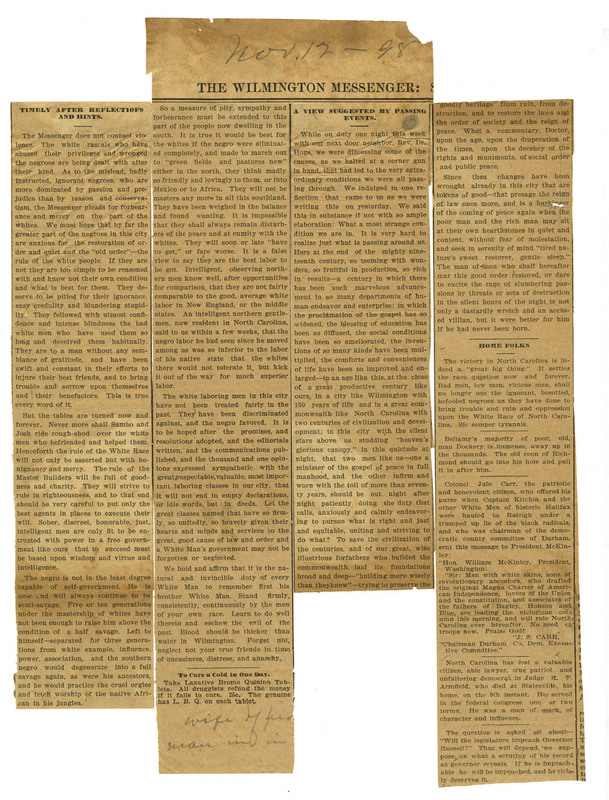 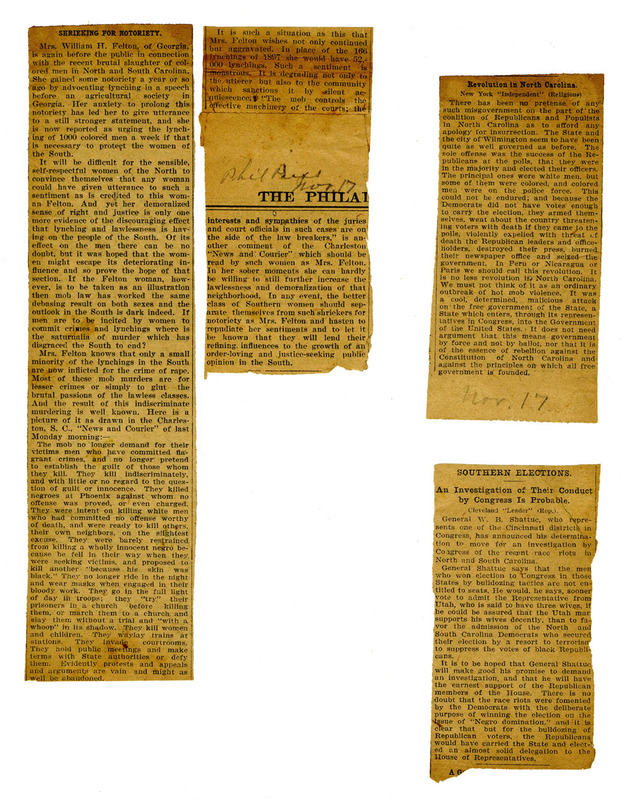 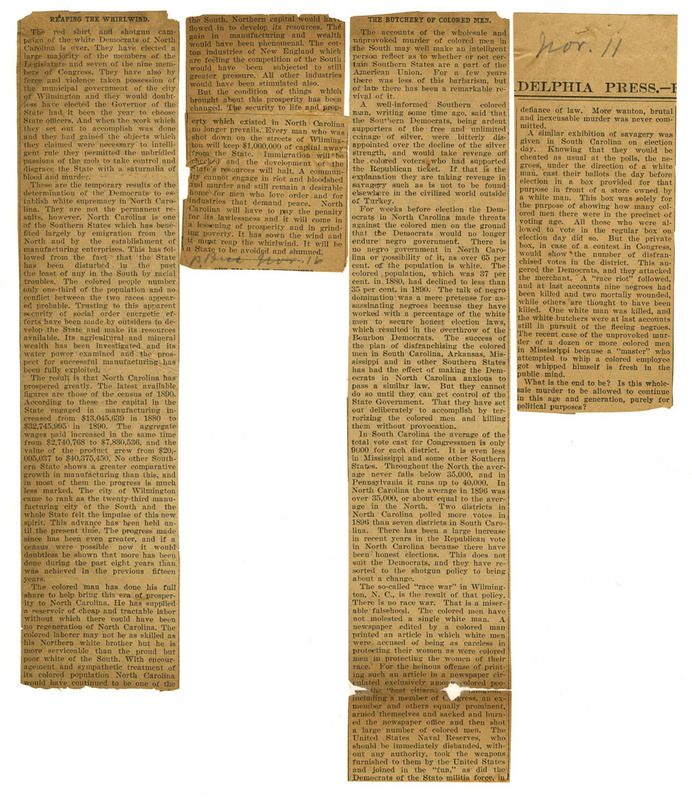 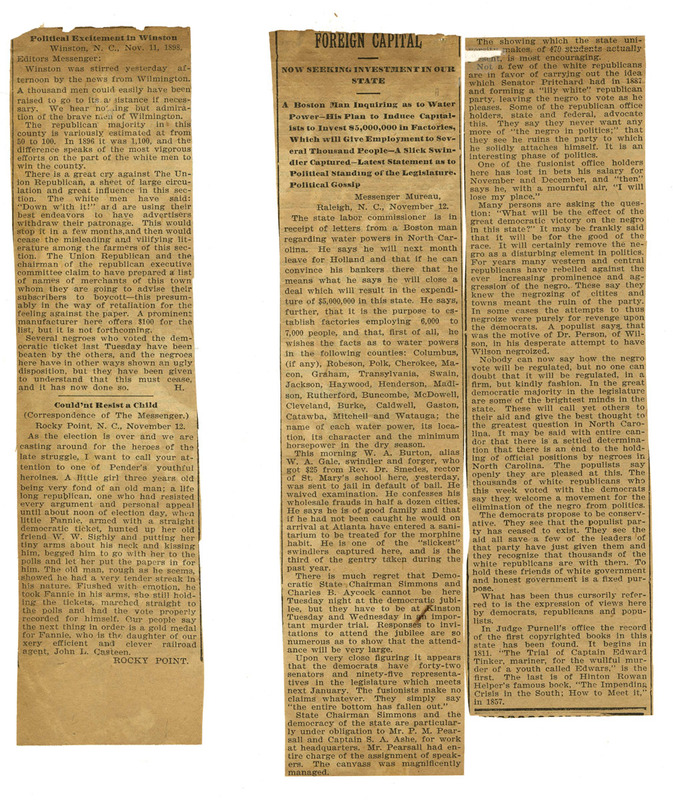 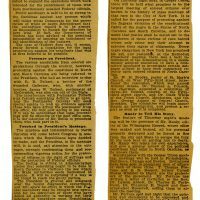 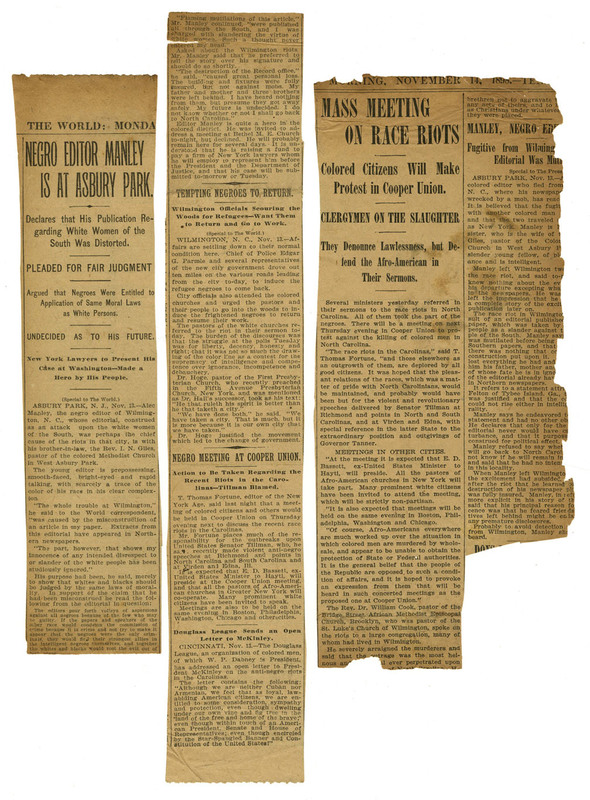 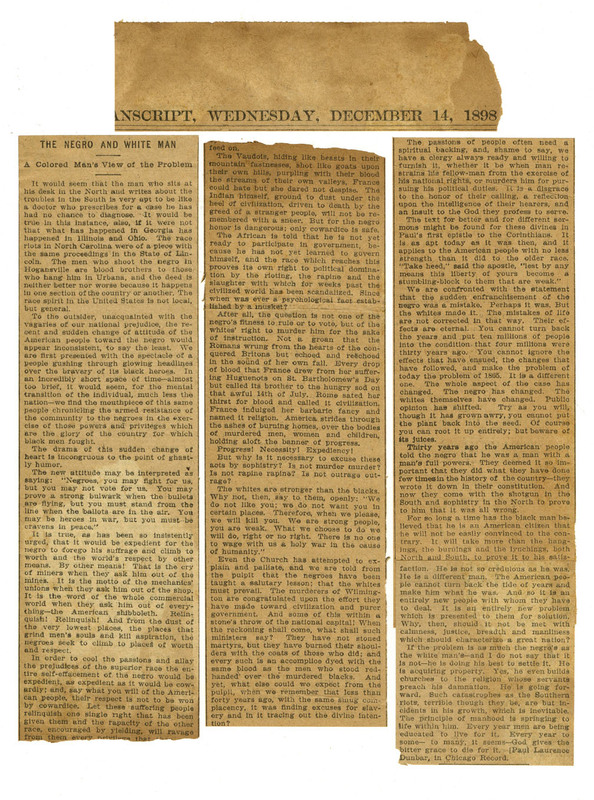 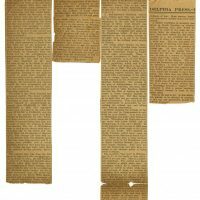 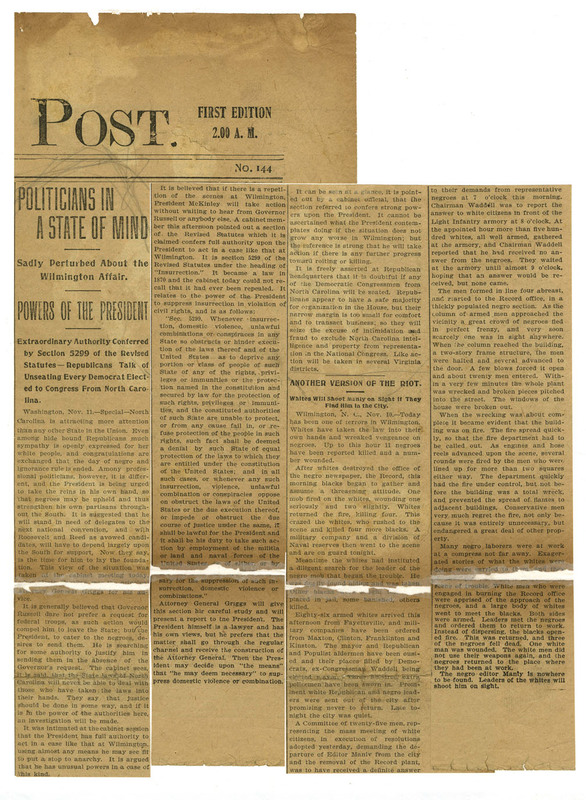 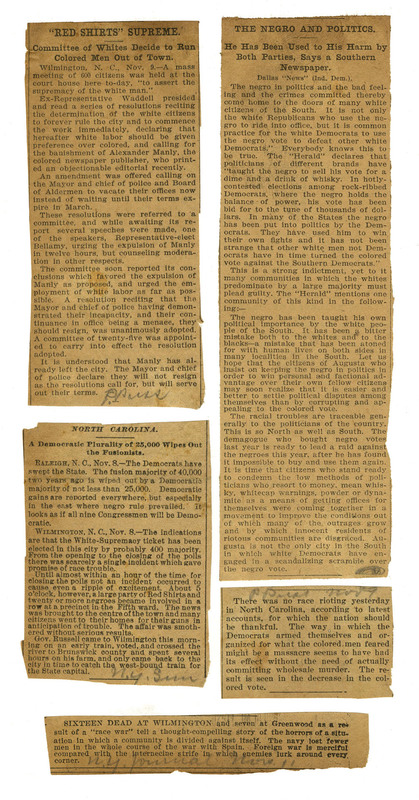 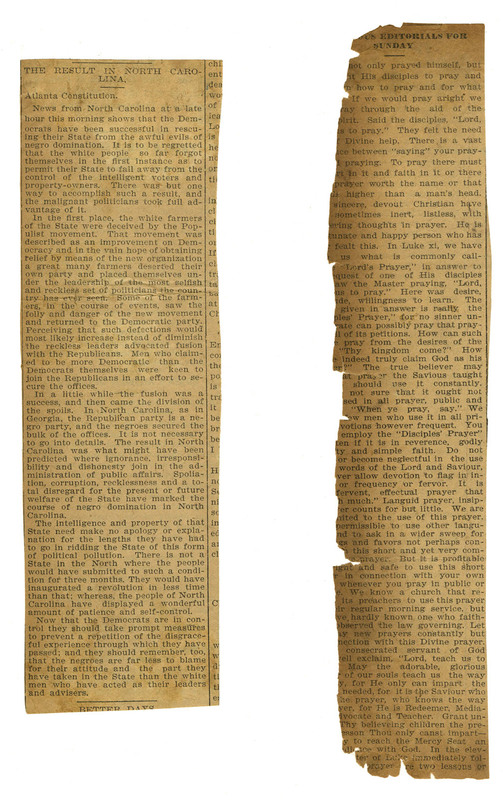 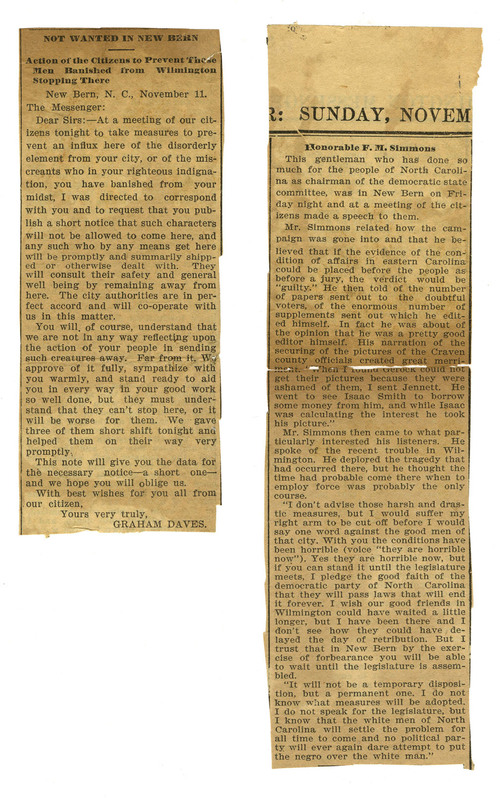 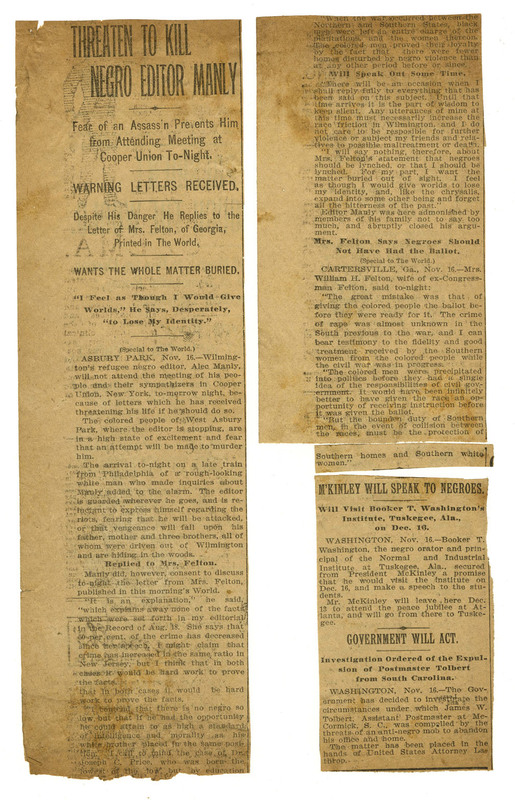 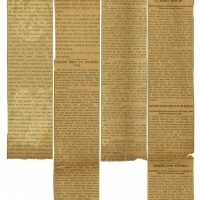 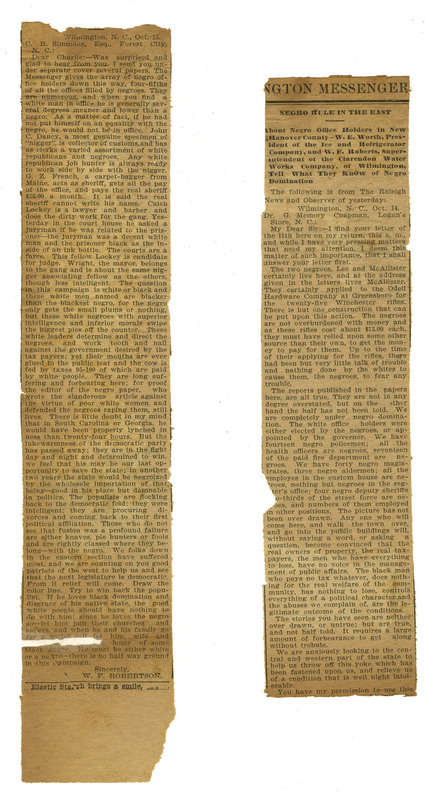 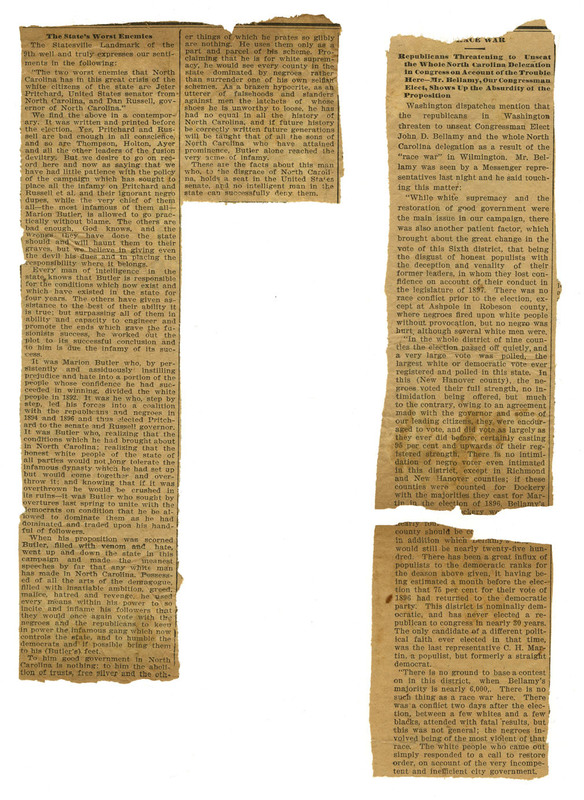 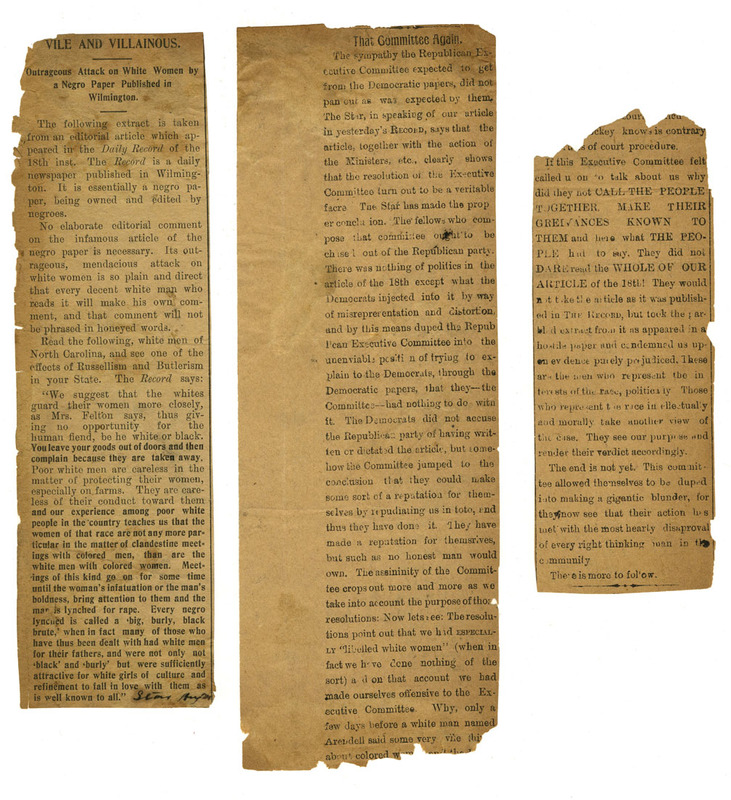 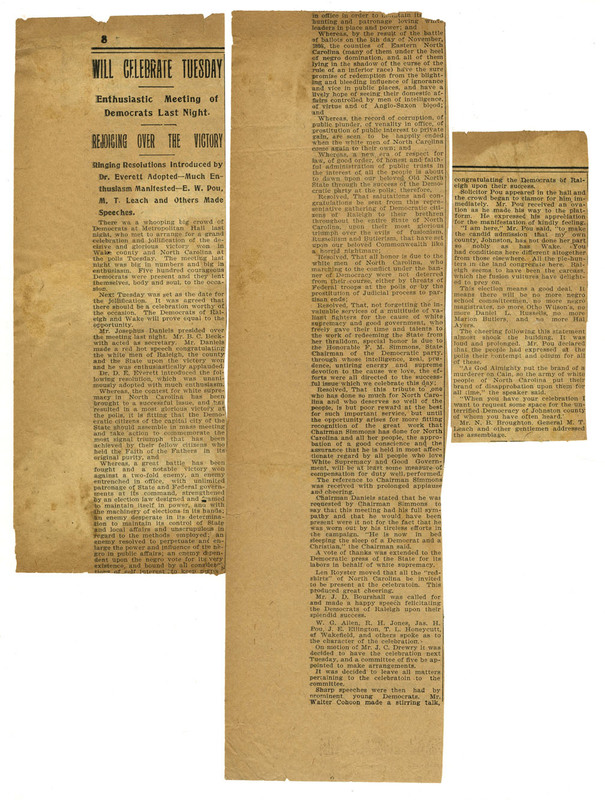 It also includes newspaper articles clipped from before and after the 1898 coup d’etat. 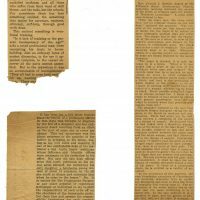 The scrapbook also included one letter – an anonymous piece of hate mail that contains language that may not be appropriate for all readers. 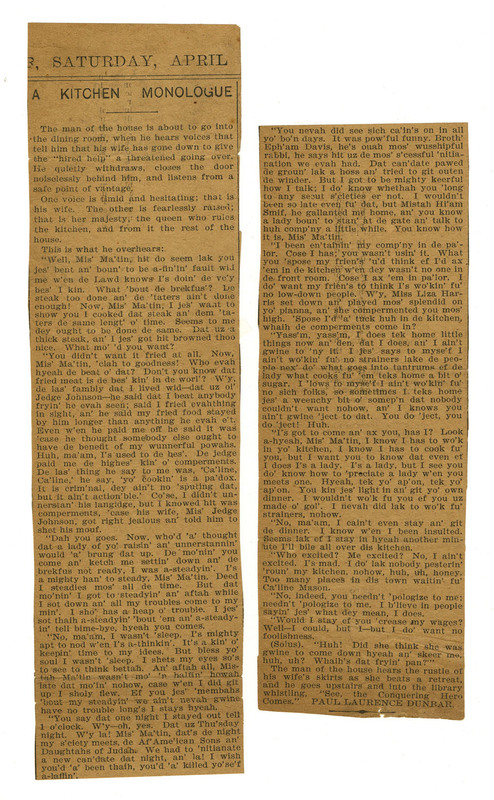 Drag the image to move it or use the controls to zoom. 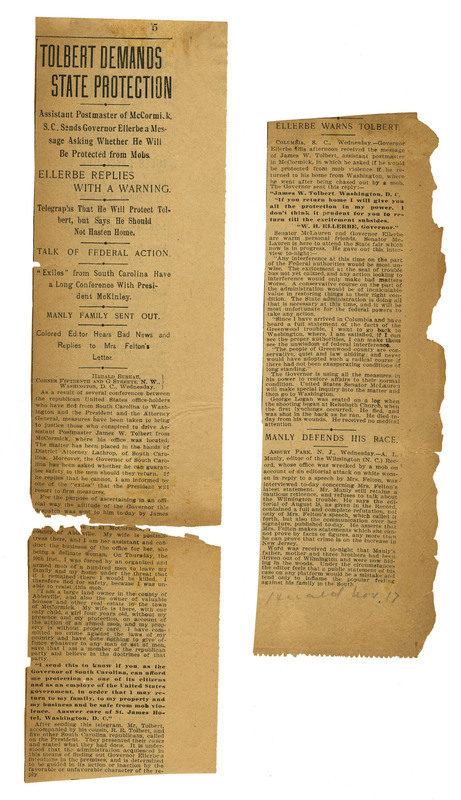 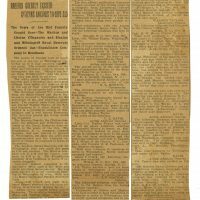 “Tolbert Demands State Protection,” no printed newspaper name, no dateline, no printed newspaper date, and no handwritten notes.